Reliable, Responsible, Reasonable / Bayside, Southern Suburbs All work, free quotes, no call-out fee! If you require top-quality work from an experienced, responsible and conscientious electrician in Melbourne CBD, South Melbourne, or anywhere in the greater region, contact Easton Bell. Our electrical services are second-to-none, based on many years of combine experience and our commitment to professionalism and quality workmanship. 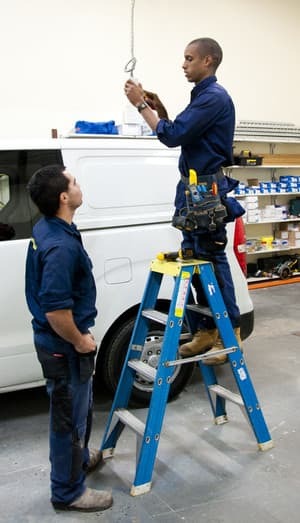 We specialise in providing general industrial electrical services in Melbourne, including fittings, repairs and installations. 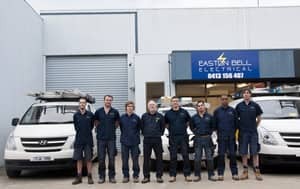 As electrical contractors in South Melbourne, Easton Bell provide 24-hour service, ensuring you have safe, reliable electricity every hour of the day. Talk to us today and we will provide an obligation-free quote based on your individual requirements. We are transparent with our cost estimates, providing assurance that there will be no hidden charges. We take pride in being professional and well-presented, arriving on time and cleaning up when the job is completed. As A Grade electrical contractors, Easton Bell are able to guarantee the highest standard of service. We are the team with the greatest range of services and expertise, with more than 20 years of combined experience in all aspects of being electrical contractors. Founded in 2011, and led by the partnership of Andrew Easton and Andrew Bell, we have grown into a team of eight qualified electricians. Our prompt, reliable and effective service has helped us gain a loyal client base and impeccable reputation. We treat every job big or small with the same attention to detail, ensuring we get it right the first time, every time. Great guys, very professional and clean! They'll be our electricians from now on. Thanks Alan, your feedback is very welcome. HIghly recommend Easton Bell for any electrical work - we have used them for a few projects and have never been disappointed. Well supported in the office meaning communications, bookings and invoicing always spot on. Competitive pricing too! Thanks Sharne, really appreciate the positive feedback. Great service, very quick and very knowledgeable, highly recommend. Thanks for your comments MrsES. We continuely endeavour to improve. Fantastic service in everyway. I would call on this team again. 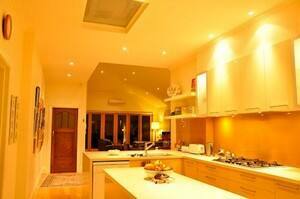 I'd like to say a BIG thanks to Andrew and the team at Eastern Bell Electrical for the work they did at my home. They did a terrific job and we appreciate the effort they put in to overcome some unforseen obstacles and get the job done promptly and professionally. 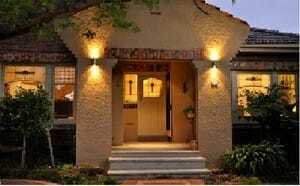 I am very satisfied with the overall experience and highly recommend these guys.